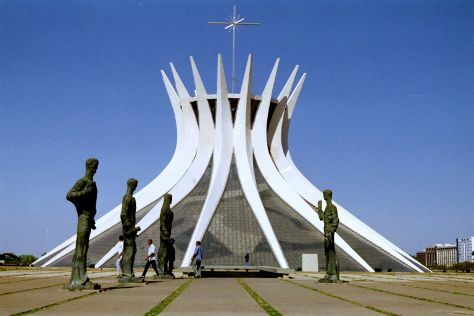 Kick off your visit on the 28th (Sat): take in the views from JK Bridge, take a leisurely stroll along Pontao do Lago Sul, take in the spiritual surroundings of Catedral Metropolitana, then take an in-depth tour of Memorial JK, and finally take in the spiritual surroundings of Santuario Dom Bosco. To see ratings, traveler tips, where to stay, and tourist information, read Brasilia journey planner . Use the Route module to find suitable travel options from your home destination to Brasilia. In December in Brasilia, expect temperatures between 32°C during the day and 22°C at night. Finish your sightseeing early on the 28th (Sat) so you can travel to Maceio. Start off your visit on the 29th (Sun): stroll through Praia de Pajucara and then kick back and relax at Gunga Beach. Get ready for a full day of sightseeing on the 30th (Mon): tour the pleasant surroundings at Ponta Verde Beach, then look for gifts at Parque Shopping Maceio, and then kick back and relax at Frances Beach. To find other places to visit, ratings, maps, and tourist information, read Maceio trip app . You can fly from Brasilia to Maceio in 4.5 hours. Alternatively, you can drive; or take a bus. Expect a daytime high around 35°C in December, and nighttime lows around 25°C. Wrap up your sightseeing on the 30th (Mon) to allow time to drive to Porto de Galinhas. On the 31st (Tue), enjoy the sand and surf at Vila de Porto de Galinhas Beach, kick back and relax at Muro Alto Beach, and then steep yourself in history at Gaipio Sugar Cane Mill. 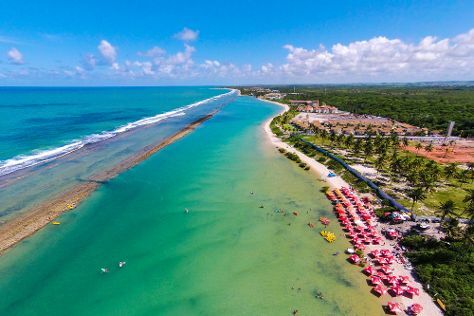 Keep things going the next day: stop by Nata Artesanato, tour the pleasant surroundings at Pontal de Maracaipe, then see the vivid underwater world at Natural Pools of Porto de Galinhas, and finally sample the fine beverages at Cachacaria e Pimentaria Tio Gilson. To find more things to do, ratings, photos, and other tourist information, go to the Porto de Galinhas trip itinerary maker website . You can drive from Maceio to Porto de Galinhas in 3 hours. Other options are to do a combination of flight and shuttle; or take a bus. Expect a bit warmer evenings in Porto de Galinhas when traveling from Maceio in December, with lows around 29°C. Wrap up your sightseeing on the 1st (Wed) early enough to travel to Fernando de Noronha. Fernando de Noronha is known for beaches, museums, wildlife, outdoors, and nature. Your plan includes some of its best attractions: stroll through Baia do Sancho, see the interesting displays at Projeto TAMAR Fernando de Noronha - Patrocínio PETROBRAS, kick back and relax at Praia do Cacimba do Padre, and get outside with Baia dos Porcos. For where to stay, maps, reviews, and more tourist information, you can read our Fernando de Noronha online trip itinerary builder . Traveling by combination of shuttle and flight from Porto de Galinhas to Fernando de Noronha takes 3.5 hours. The time zone difference moving from Brasilia Time (BRT) to Fernando de Noronha Time (FNT) is 1 hour. 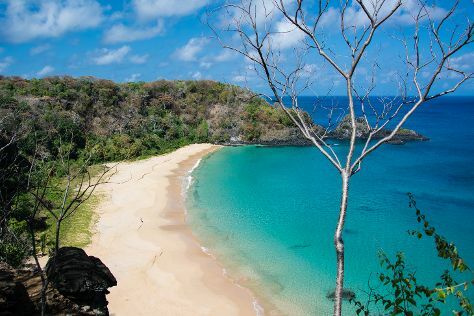 In January, daily temperatures in Fernando de Noronha can reach 34°C, while at night they dip to 29°C. Finish your sightseeing early on the 4th (Sat) to allow enough time to travel back home.